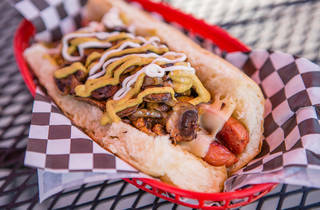 On the off chance that you're craving a hot dog on your next date, Meea's may very well be the perfect place to snag one. Their cute outdoor courtyard is lined with picnic tables and umbrellas, where you can grab a seat while you're waiting for one of the many gourmet dogs to choose from here. 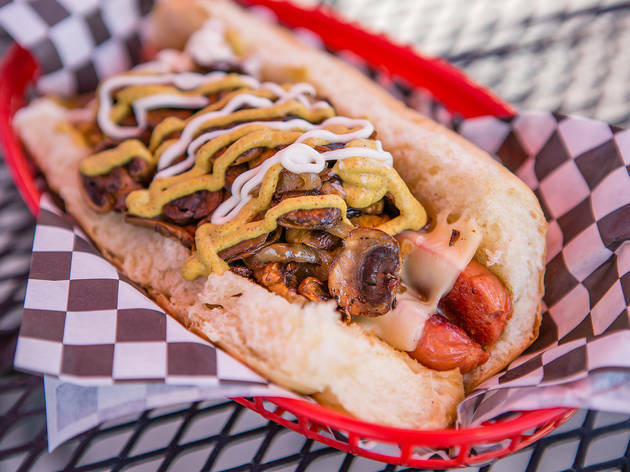 Think: the Seattle Street, with bacon, grilled onions, sauerkraut, brown mustard and cream cheese; or the incredibly flavorful Mushroom Dog piled high with mushrooms and onions. Meea's portions are massive, so we wouldn't fault you for sharing—it's kind of romantic, even with all that dripping bacon grease.